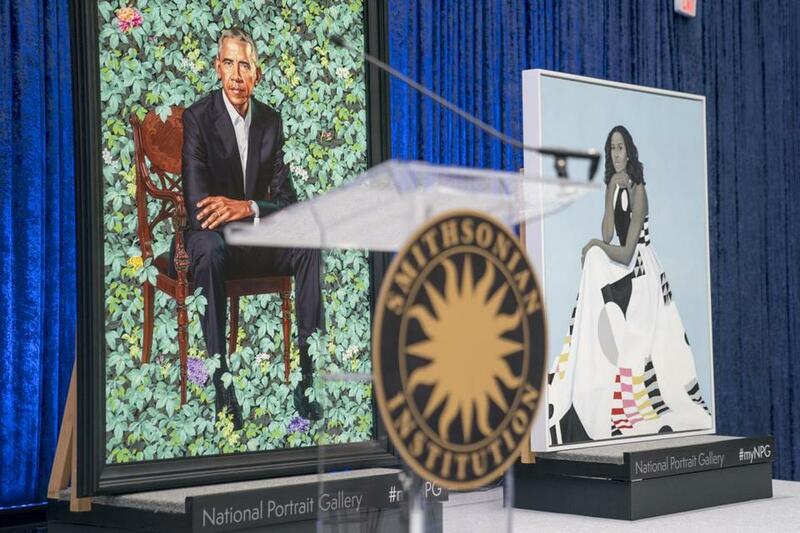 The official portraits of Barack and Michelle Obama were unveiled Monday during a ceremony at the Smithsonian’s National Portrait Gallery. Unveiled today, former President Barack Obama and first lady Michelle Obama’s official portraits will stir nearly as much dissent as their years in the White House. 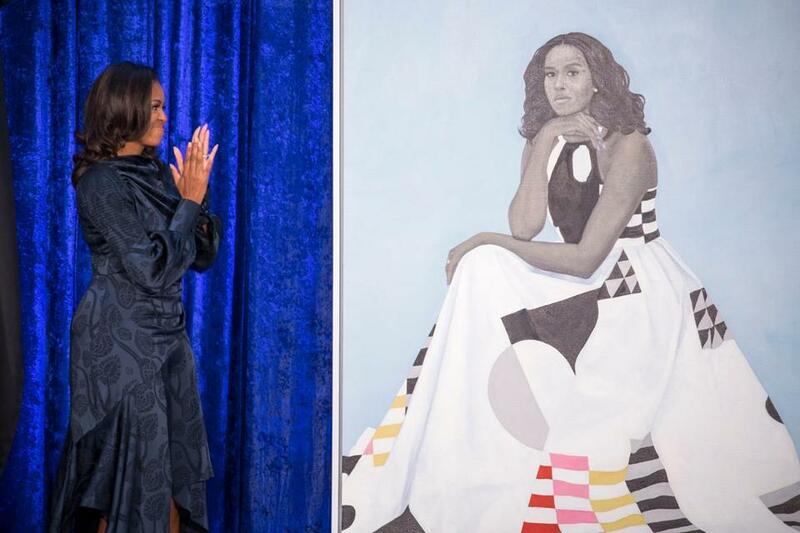 People will complain that Amy Sherald’s stylized Mrs. Obama portrait doesn’t look enough like her. Others will cluck that Kehinde Wiley’s rendering of the 44th president — sitting, without a tie, and surrounded by flowers and greenery — is cartoonish and unbecoming. Then the racist trolls will descend, because nothing connected to this extraordinary couple will ever be enough since they believe black people are inherently unworthy of praise or distinction. All of these critics miss the point: This iconic presidency could only be captured with iconic portraits. More than paintings, they are socio-cultural documents to surviving with grace and elegance. During their eight years as the First Couple, Mrs. Obama was called a “baby mama” and compared to a gorilla. There were racist photos of a spear-carrying Obama in faux-African garb. A reality-show clown, now occupying the White House, incessantly questioned Obama’s American citizenship as a way to delegitimize his presidency. 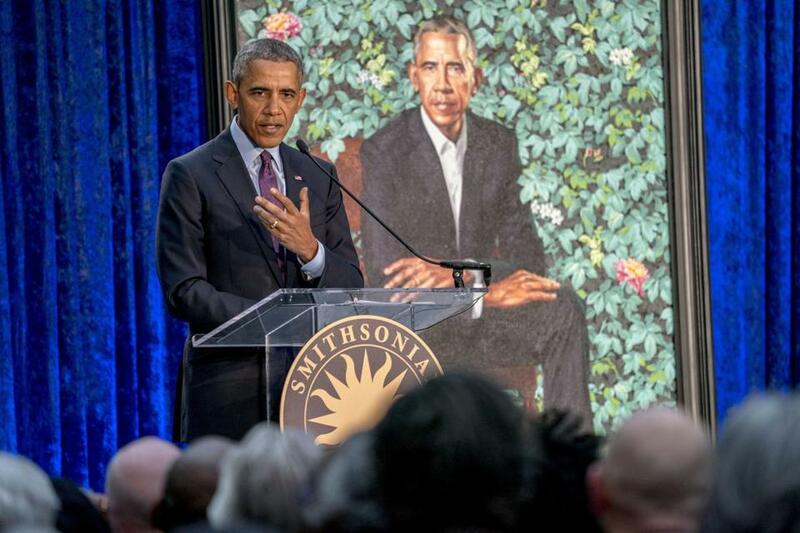 That’s why the Obamas chose Wiley and Sherald, two acclaimed African-American artists, for these works that will hang in National Portrait Gallery at the Smithsonian Institution’s National Gallery of Art. Usually, such portraits are lacquered with gravitas, their steely-eyed presidential subjects standing as if they’re auditioning for Mount Rushmore. The portraits of former president Obama and Michelle Obama are not what you’d expect, and that’s why they’re great. In these portraits, however, the Obamas are regal, poised, determined — and accessible. There’s vibrant life here, self-assured swag and attitude missing from the inert mannequins we’ve come to expect in presidential portraiture. Instead of dark, woody backgrounds, there are bright colors that pop and engage. They welcome the eye. These portraits will now be displayed alongside those who enslaved black people, fostered Jim Crow, and used the racially divisive “Southern Strategy” as a path to the White House. Without question, the Obamas’ portraits were always destined to stand apart; yet, as they always have, they recognized this honor as more than a ritual captured for posterity. Michelle Obama stands before her portrait during its unveiling ceremony. I was also one of those girls — and I still am, because one does not outgrow the innate need for representation. So let the critics whine. Looking at these distinct and beautiful portraits of African-American excellence, I am tickled black. Barack Obama speaks at the unveiling ceremony.